With Absalon, Agnès Accorsi, Dennis Adams, Lara Almarcegui, Yto Barrada, Bibliothèque Fantastique, Ursula Biemann, Dara Birnbaum, Monica Bonvicini, Frédéric Bruly Bouabré*, Daniel Buren, Sophie Calle, Marta Caradec, Alex Chan*, Henri Coldeboeuf, documentation céline duval, documentation céline duval & Hans-Peter Feldmann, Jimmie Durham, Latifa Echakhch, Harun Farocki, Mounir Fatmi, Cao Fei*, Hans-Peter Feldmann, Michel François, Claire Fontaine, Meshac Gaba, General Idea, Dominique Gonzalez-Foerster, Renee Green, Subodh Gupta, Hans Haacke, Raymond Hains, Thomas Hirschhorn, Carsten Höller, Douglas Huebler, Pierre Huyghe, Bouchra Khalili, Matthieu Laurette, Louise Lawler, Paul McCarthy, Gustav Metzger, Antoni Muntadas, N55, Jean-Christophe Norman, Boris Ondreicka, ORLAN, Gabriel Orozco, Sener Özmen/Cengiz Tekin, Philippe Parreno, Yan Pei-Ming, Lili Reynaud Dewar, Gerhard Richter, Jimmy Robert, Bruno Serralogue, Cindy Sherman, Simon Starling, Jessica Stockholder, The Atlas Group/Walid Raad, Joëlle Tuerlinckx, Luc Tuymans, Ben Vautier, Huang Yong Ping, Chen Zhen. What can artists and their work tell about the time and place they lived in? How does a country collect art? Is it possible to distil a French identity from a contemporary art collection consisting of art from all over the world? The exhibition A Republic of Art, which is being held in the Van Abbemuseum from 27 June to 4 October, raises some interesting questions. 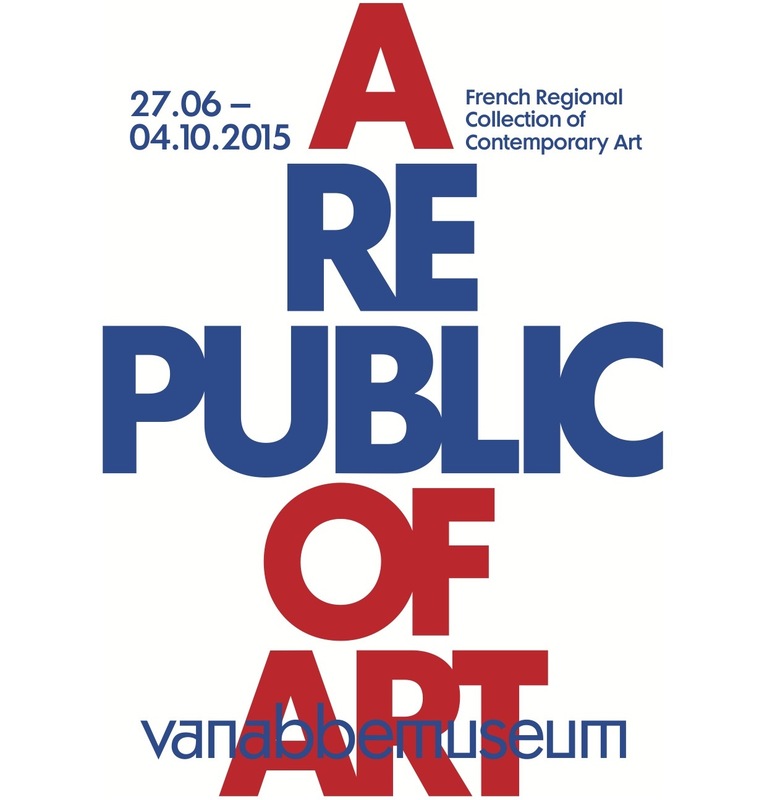 A Republic of Art tells the story of contemporary art since the 1980s from a French perspective. The ten galleries in the old building of the museum are filled with more than a hundred much discussed works from the collections of the FRACs (Fonds Régionaux d’Art Contemporain), many of which are be ing shown outside France for the first time. The exhibition starts in the early 1980s with works by celebrated artists such as Daniel Buren, Gerhard Richter, Cindy Sherman and Paul McCarthy. A Republic of Art reveals the emergence of new media with works by, for example, Dara Birnbaum and Harun Farocki. Luc Tuymans questions the reliability of mass media in his work. Developments in film and literature are the source of inspiration for artists like Sophie Calle and Dominique Gonzalez-Foerster. Other trends become visible in the 1990s and 2000, such as the increasing interest in the environment and in alternative ways of living together in society. For example, this is reflected in the works of N55 and Simon Starling.